Join us for a fun and musical holiday weekend in Lancaster Amish Country. We will travel to the welcoming town of Lancaster, PA and check in to our lovely host hotel for the next 2 nights. 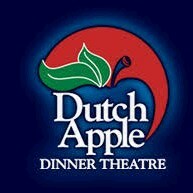 There will be time to freshen up before we head out for the evening at the wonderful Dutch Apple Dinner Theater. 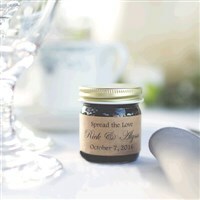 This will be a dinner theater experience you will love as we start out with a delicious buffet dinner filled with lots of yummy choices with full salad bar, classic favorite entrees and side dishes, along with delectable desserts - enjoy! Then sit back in your seats for a fun and musical holiday production called..."Holiday Inn". Based on the classic film with music and lyrics by Irving Berlin, this show is a whole year of holidays in one wonderful musical that you will absolutely love! It features thrilling dance numbers, laugh-out-loud comedy and a parade of Irving Berlin hits which celebrates each yearly holiday from Thanksgiving to the Fourth of July. This is such a unique experience all wrapped up into a heartwarming extravaganza on stage. Breakfast included at your hotel and we are then off for a full day of holiday fun. We'll start out as the American Music Theater for the morning holiday show featuring the 2019 production of, "Joy To The World". When the holidays arrive, the sounds of the season are always resounding at the beautiful American Music Theater with top notch holiday shows live on stage. The ringing of church bells in a quaint town square set the scene for "Joy To The World" in this newest holiday spectacular. Evoking the revered holiday nostalgia of hometowns all across the United States, the stage will be transformed in to a small-town winter carnival brimming with family and friends. It features scenes filled with entertaining elves, dramatic dancing, sensational singing and grand moments galore. Sit back and enjoy the incredible AMT singers, dancers and live orchestra with awe-inspiring holiday music and light-hearted humor which are the warming ingredients for this season's all new live production on stage. After the show, we will visit the Kitchen Kettle Village where you can stretch your legs throughout dozens of shops and restaurants filled with Pennsylvania Amish goods and enjoy lunch on your own throughout. Kitchen Kettle is a favorite this time of year and is a great place to find one-of-a-kind gifts with everything from jams and relishes to homemade quilts. We will then move on to our afternoon "Chalk Talk" show where you will experience a unique professional artist from Lancaster County reviving the old art of chalk talk...watch in amazement a live sketch that is fun, motivational inspiring - you will have to see it to believe it. Then enjoy an included dinner at one of Lancaster County's most popular restaurants complete with delicious homemade trimmings galore - no one goes hungry here! 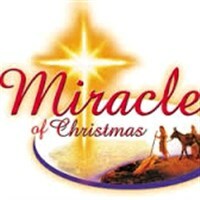 We will then arrive at the impressive Millennium Theater by Sight & Sound to take our reserved seats for the stunning presentation of "Miracle of Christmas". Get ready for a true life-changing show experience as Sight & Sound is so well know for. In the midst of the crushing Roman ruling turmoil, Mary is told she will bear God's son. Angels proclaim his birth. Shepherds and Kings pay him homage. Clearly this is no ordinary child...but who is he! Is he the Savior! 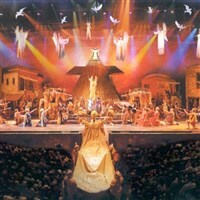 You will see the Christmas story brought to life on a larger-than-life stage production with high drama, special effects and live animals. Rejoice as the true meaning of Christmas unfolds right before our eyes! Breakfast is included at your hotel this morning before we say good-bye to our Lancaster County and depart for home after a wonderful holiday trip to ring in Christmas! Walking Code: 2 - This tour requires that you be able to climb stairs and walk reasonable distances, possibly over uneven ground and walking surfaces.